Bayfront Condos: VIEWS! VIEWS! LOCATION LOCATION! THIS IS TRULY ONE OF A KIND!! MOVE IN READY! FABULOUS WATERFRONT 3 BEDROOM END UNIT PENTHOUSE. Bayfront Place is a Naples Icon. This building is advertised all over the world to represent the Naples lifestyle. Spectacular views of Naples Bay and Gordon River. This end unit has 270 degree views with three spacious balconies on all sides. Very light and open all day. Walking distance to 5th Avenue shopping and world class restaurants. Completely renovated with new paint, new air conditioner and water heater, new flooring, new electrical fixtures, plumbing, new plantation shutters and custom window coverings, 10 foot ceilings, gourmet kitchen, solid wood doors and custom moldings and trim throughout. Partially furnished for your convenience! Two beautiful roof top pools and two tennis courts, fitness center and secured parking garage. Low fees. Water taxi for all of Naples Bay at dock below. Enjoy the ambiance of courtyard restaurants, shops, nightlife, marina activities and boat docks just steps from your door. Bayfront Condos: When lifestyle and location are everything, then living at Bayfront, in downtown Naples' upscale, urban oasis is it. This waterfront community is located on Naples Bay with easy Gulf access and spectacular views. Leave the car at home and walk to 5th Avenue, 3rd Street, Tin City; catch the water taxi at the dock, bike to the beach, enjoy shopping and casual dining, and happy hour at the onsite cabana bar in this mixed use community. Enjoy alluring, unobstructed water views of Naples Bay from this 4th floor condo. Stainless steel appliances, remodeled bathrooms, new ceiling fans and light fixtures, crown molding, decorative chair railing, volume ceilings, walk-in closets, freshly pained and tastefully decorated. For sale turn key, so all you will need are your flip flops. Bayfront also offers 2 Rooftop Pools, 2 spas, tennis courts, pickle ball, fitness studio, barbeque patio, clubhouse and Tesla charging stations. 1 assigned covered garage parking space. Onsite security. And..... Bayfront hosts both the Annual Stone Crab Festival and the Naples Craft Beer Fest! Bayfront Condos: Stunning downtown Naples two bedroom plus den, three full bath condo renovated to meet your highest expectations. Located in the mixed-use community of Bayfront, the owners spared no expense updating this water and plaza view unit. From opening and mirroring walls, adding crown molding, new cabinetry and granite countertops, reconfiguring bathrooms and adding new flooring to compliment the beautiful hardwood floors in the living area, nothing was overlooked. But the beauty is in the details, soft close draws, under cabinet lighting, pendent lights, lockable owners’ closet, custom niches in showers, frameless shower doors, framed mirrors, and wallpaper, just to name a few. You must see this condo in person to appreciate all the fine nuances and to experience Bayfront. The unit is just an elevator ride down to the landscaped plaza, marina, restaurants and shopping. The community offers secure buildings and garages, two pools, two Jacuzzis, two tennis courts, pickleball, fitness room, community room and gas barbeque grills. Walk under the Gordon River Bridge to Tin City, Fifth Ave. and the beach. This is the ultimate in Sophisticated Naples Living. Call for your private showing today! Bayfront Condos: Located in the Downtown Naples, mixed-use community of Bayfront, this stunning, 3 bedroom, 2 ½ bath, top floor condo is being offered Turnkey furnished. Enter this popular floor plan and notice the 10 foot ceilings and tile on the diagonal throughout. Step out onto the lanai and take in the dramatic view down Naples Bay. Appreciate the roomy master bedroom with lanai slider. The large master bath has both a shower and tub. The updated cabinetry matches the beautiful cherrywood kitchen cabinets. Stunning granite counter tops give the kitchen a rich, elegant feel. Additional noteworthy features of this condo are the 1/2 bath for your guests and the separate wing with 2 bedrooms and roomy bathroom that offers double sinks. Bayfront, where the Gordon River meets Naples Bay has restaurants, shopping, and marina below. The buildings and garages are secure. Amenities include 2 pools, 2 spas, 2 tennis courts, a pickle ball court, fitness center and community room with kitchen. Add the barbeque grills and the beautiful courtyard, and you might never leave. But if you do, just walk under the Gordon River Bridge to Tin City, Fifth Avenue and the beach. Live everyday like you are on vacation! Bayfront Condos: Finally, the Bayfront water view unit you have been waiting for. This huge 3 bedroom, 2.5 bath condo is priced to sell. Enter into this light airy unit and let the diagonal tile take you straight out to the oversized lanai. View dolphins playing while you enjoy the sophisticated lifestyle of this mixed-use community. With Marina, 6 restaurants and shopping below, you will have to find time to use the fabulous lap pool, tennis courts, and fitness room. Secure building and parking garage. Walk under the Gordon River Bridge to Tin City, Naples Bay Resort, 5th Ave and the Beach! Bayfront Condos: Come see why Bayfront's multi Tuscan-color condos is one of the most photographed locations in Naples. 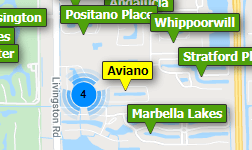 Perfectly situated on Naples Bay walking distance to critically acclaimed 5th Ave shopping and restaurants. Split bedroom design with fantastic coastal updates including all the beautifully-appointed furnishings. Actually its turnkey!!! The large balcony is perched on an Italian-tinted courtyard with views of Naples Bay. Secure building, parking garage, two pools, BBQ areas, community center and two tennis courts (pickleball) will complete any vacation. Bayfront features 5 divergent dining facilities (with more on the way), high-fashion salons, and an outdoor adventure shop making this a hot spot for both in-season and off-season rentability. Come to play at the bay! Bayfront Condos: A luxurious Pied-a-terre in the heart of Naples. A simply elegant light infused corner condo/residence just steps away from 5th Avenue and its internationally acclaimed boutiques, restaurants, art galleries, and the piece de resistance -The Gulf of Mexico. Visually stunning 3-bedroom unit with Brazilian hardwood oak floors, European quartz kitchen countertops, plantation shutters, and two exquisite terraces. Bayfront is an Addison Mizner architectural inspired European Village surrounded by Grecian styled statuary and lovely water features. The community is enhanced by two rooftop pools, jacuzzi’s, clubhouse, fitness center, and expansive BBQ entertainment space. Bayfront Condos: Fantastic downtown waterfront location! Bayfront has it all. City living with onsite restaurants, shopping, a waterfront bar and walking distance to Naples Bay Resort, Tin City, 5th Ave and the beach. Amenities include tennis courts, pools/spas, fitness center and clubhouse. This residence is spacious with an open floor plan, volume ceilings, 3 bedrooms/2 baths and an open balcony offering a water view. Turnkey furnished with Tommy Bahama décor. Secure, gated covered garage . Don't miss out on this special opportunity. Bayfront Condos: This is not your standard Bayfront property. If you're looking for a nicely updated home with raised panel wood cabinets throughout, granite and stainless kitchen, tastefully appointed interior and close proximity to amenities, this is it!. Bayfront is a unique downtown "live, shop and play" destination with a rare waterfront location. Residents enjoy 2 pools and spas, tennis courts, clubhouse and fitness studio. Onsite are restaurants, art galleries, boutiques and a waterfront cabana bar. 5th Avenue, 3rd Street, Tin City and the beach are within walking distance. Profession photos will be ready next week. Rental policy - 30 day minimum, 12 times per year. Pets - One pet under 25 lbs. allowed. If buyer desires to purchase property turnkey, contents are negotiable. Bayfront Condos: JUST REDUCED TO SELL QUICKLY!! An incredible opportunity to own this very illusive TWO bedroom Bayfront Condo! Most of the living areas are focused on the view of the beautiful courtyard. Bayfront has it all from upscale restaurants, chic boutiques, a full service marina and of course the Cabana Bar. A short fun filled walk to Fifth Avenue and all it has to offer makes this address ideal for the true Naples experience. This unit boasts high end Kitchen Aid appliances, spectacular custom light fixtures, plantation shutters in both bedrooms, electronic shades in the living room and kitchen, crown molding in the living areas and both walk-in closets have been professionally enhanced for optimum storage and beauty!! This wonderful home is waiting for the right person please don't miss this small window of opportunity to live blocks from the beach and the quality of life that comes along with it. Bayfront Condos: BAYFRONT has experienced dramatic strives becoming a Naples "hotspot" with a wide variety of dining and entertainment opportunities. When it comes to urban downtown living in Naples BAYFRONT is the Best! Steps away are 2 pools, 2 Jacuzzi’s, 2 tennis courts, bbq grills, a fitness center and fine dining. Venture out for a short stroll from this Mediterranean waterfront village and visit Tin City, internationally acclaimed 5th Ave, or our white sugar sand beaches. Exquisitely & tastefully finished this popular 1344 sqft 2-bedroom floor plan leaves nothing to be desired. New renovation includes granite countertops, backsplash, stainless appliances, and wood floors in both bedrooms. Exceptionally relaxing is the outdoor balcony overlooking Bayfront’s beautiful promenade water features. Nothing left to do except move in this turnkey masterpiece. Come see it before it’s gone. Bayfront Condos: Fabulous coastal gem offered turnkey furnished. Elegant and upscale waterfront living is at the forefront of this 1 bedroom plus den, 1 1/2 bath condominium at Bayfront Naples. Along the waterfront in your community, enjoy fine dining, shopping and galleries. You will also have access to world-class amenities including a heated pool, Jacuzzi and fitness center as well as Bayfront Marina. Completely remodeled with all new stainless appliances, new a/c, new water heater, frameless shower, and all furniture is from Robb & Stucky! The unit boasts 1126 square feet of open floor plan with new 24" porcelain tile thought the entire condo. There are views of Naples Bay with 2 balconies to enjoy life on the water. This is a seldom available end unit with privacy from all common areas. Bayfront Condos: This is an adorable, light and bright end residence with lovely views overlooking the fountain and Naples Bay. Enjoy the privacy of the end residence with three separate balconies. Updates include new kitchen with Quartz countertops, stainless steel appliances, crown molding, tile floors, paved balconies and new air conditioner. There is convenient access to the pool and garage from this second-floor level. Amenities include a fitness center, tennis court, heated pool and Jacuzzi and a Marina. Bayfront offers waterfront shopping and dining and is located a short stroll to Fifth Avenue South and the beach. This residence is a true pleasure to show. Bayfront Condos: Beautifully styled 2 bedroom, 2 bath condo located in the heart of Old Naples. Live the sophisticated life in the mixed-use community of Bayfront, where dinning, shopping and leisure activities are just steps away. This 4th floor unit is bathed is soothing colors and is complemented with fashionable furniture. Elegant tile, cabinetry and granite completes the bathrooms. Notice the master bath walk-in shower. The split bedroom floor plan offers wonderful privacy. Feel right at home in the well-appointed kitchen that offers smug-less stainless-steel appliances, graceful wood cabinets, styled pulls, undermount double stainless sink, and rich granite, with its dramatic backsplash. Dine at the kitchen bar or in your dining room. Guests have complete privacy in their own suit that shuts off from the main living area. Washer and Dryer included. Bayfront has secure buildings and garages and the amenities include 2 pools, 2 Jacuzzis, 2 tennis courts, a fitness room, community room with kitchen, gas barbeque grills and landscaped courtyard. Walk under the Gordon River Bridge to Tin City, Fifth Avenue and the beach. Live everyday like you are on vacation! Call today for your private showing! Bayfront Condos: Awesome downtown living on Naples Bay.. Bayfront offers residents shopping, restaurants, bayside cabana bar & an exceptional Marina with easy boating access out to the bay & the gulf! Roof top amenities with 2 pools, hot tubs, clubhouse, fitness center & tennis courts. This corner condo offers open plan living.. kitchen with upgraded stainless appliances & breakfast bar opening to spacious main living with sliders out to your covered lanai. Separate Den with feature bay windows with vibrant all round views for relaxing, dining or add a sleeper sofa for guests. Master bedroom with French doors out to balcony, walk in closet and fabulous fully renovated en-suite bathroom with seamless shower doors & feature rainshower head. Wood flooring thru main living & master bedroom, tile in en-suite bath & powder bathroom. Residents have private lobby and elevator access to their residence, secured undercover parking garage & plenty of parking for guests too. All this plus just a short walk to Naples’ world renowned 5th Ave for theatre, boutiques, more fine dining & events or head down to Naples’ pristine white powder beaches to catch a glorious evening sunset! Bayfront Condos: Location is key!This chic condo that is walking distance to downtown Naples and beaches. This condo has onsite shopping,restaurants, marina and a cabana bar just steps away.This Bayfront property offers pools, spas, tennis courts, fitness studio, barbecue deck and clubhouse. Great rental history for an investment, or a perfect getaway for the weekend in Naples. This condo will surely please the most discerning buyer. Need professional assistance selling your property at Bayfront Naples? Find out how an Area Specialist can help to generate more property exposure in order to get the most money for your investment in the least amount of time.